Children need all the learning they could get from all possible sources to help them form a healthier concept of themselves and the world around them. Since we live in a very modern age where every bit of information can be achieved at the tip of our fingers, it is very important to choose only those that provide not only great educational value but also fun and entertainment as well. TED Talks is one very excellent media that is designed primarily to spread great ideas to everyone, including and most especially kids. 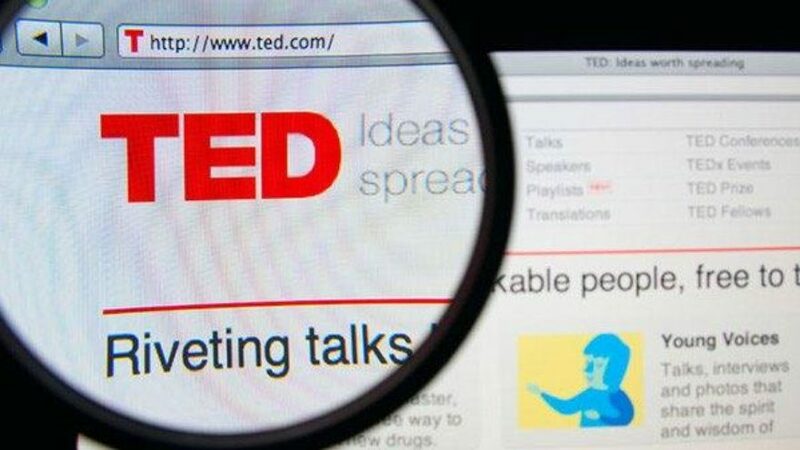 Get ready to be mesmerized yourself with the 6 best TED Talks to watch with kids this 2017. If there is one frontier that is still left unexplored, that would be the depths of our great oceans. The things that we see – the lovely corals and anemones where Marlin and Nemo live as well as the other aquatic animals that kids are fascinated with that they keep versions of these in their aquariums – are just from the superficial part of the ocean. No one has ever ventured into the deepest bosom of the ocean. While we can scale the face of Mt. Everest and reach and plant our flags at the peak, we simply cannot do so with the deepest oceans. It is this unreachability of the ocean floor that has kept us from understanding what life is like in these environments. We can only reach a couple hundred yards from the safety of our boats in the surface without submersibles. Even manned submarines cannot reach these depths because of the sheer pressure of the water exerting its force on the hull. It would be like crumpling a piece of paper just as easily. The Underwater Astonishments is a TED Talks for children that gives a very unique perspective of the depths of the ocean. While it is virtually impossible to reach this far, we, together with our kids, will definitely learn to appreciate the light around us as the ocean depths is one really dark place. You would assume that no living organisms will survive in this environment. But Gallo assures us that there is beauty in the dark especially when illuminated by very tiny microscopic organisms that glow like fireflies in the nighttime sky. Bioluminescence has a great impact in this part of the ocean as it can serve to protect the other species in the area or at least attract prey to feed on. As Gallo puts it, it’s a very amazing world. The shallower waters are also teeming with often misunderstood creatures. The cuttlefish is thought of as an oversized squid but there is an amazing thing about its graceful movements. The octopus, long revered for its intelligence, can really use its cunning to blend well with its environment. Squids, on the other hand, are quite territorial and as such are aggressive. But there’s a soft side to the aggressive squid. The male will only show its soft and gentle side to the female squid. Not many of us truly understand this. And with this TED for kids, we’re pretty confident our eyes have been opened. What We Like about It – The Underwater Astonishments takes us to a world where we know only 3 percent of it. This simply means we still have a long way to go to discover the remaining 97 percent. One of the most important subjects that we all need to learn, understand, and master is mathematics. It is a very perfect science where everything can be explained in very concrete terms. Unfortunately, not everyone excels in numbers or is especially fascinated with mathematical concepts. That’s why one of the best TED Talks for children that we’ve seen is the A Performance of Mathemagic delivered by number wizard and human lightning calculator, Arthur Benjamin. With a little showmanship, a great fascination for the world of magic, and an impeccable thirst for mathematics, Benjamin delivers a very stunning performance about how we can mentally compute for any mathematical problem without the use of calculators or any other similar device. Obviously, with an ocean full of math concepts and theorems, it would be virtually impossible to fit everything in just 15 minutes. Benjamin nevertheless showed us how we can, with a correct understanding and framing of our minds, compute for the squares of numbers. As we all know, the square of a number is technically the number multiplied by itself. For single digit numbers, this should be fairly easy for most of us. Regrettably, as the number of digits increase, the more complicated it becomes. With time and practice, it is entirely possible to master the math and number tricks which kids can apply in their studies. What We Like about It – The A Performance of Mathemagic is a very fun way to get acquainted with the lighter side of mathematics and numbers. We all know math is a very difficult subject and for Benjamin to keep it very fun gives hope to millions that there is a chance we might as well love math, too. Whenever we talk about science, we conjure images of people in lab coats and very serious environments where everything has to be controlled to help ensure a more realistic and more valid result in various experiments. For many people, science is for the serious, the intelligent. People believe that scientists are individuals who don’t know how to have fun. Additionally, undertaking a science experiment is often perceived as very tedious and boring stuff. All these are changed by Beau Lotto’s Science is for Everyone, Kids Included, which also featured a young student Amy O’Toole. This TED Talks for kids essentially talks about how perceptions can affect the way we think and view things and everything else in our world. In like manner, the way in which most of us view science as something so serious, so strict, and so un-fun, is mainly a product of the way our brains processed these pieces of information that already occurred in the past. Lotto goes on to explain that we can have an entirely new perspective of science if we can only appreciate the fact that what we think are all a reflection of past processes and not the current ones. As such, it is at all possible to refine this perception and try considering science as play and that when rules are applied, it becomes a game. This is the basic premise of the Science is for Everyone, Kids Included. By playing, kids are able to live in the moment. When they apply rules, it becomes a game. The same is true with science. It is a discipline that is based on the now. And when we apply rules, it becomes an experiment. It’s quite an easy thing to understand as described by Amy O’Toole. What We Like about It – The TED talks for children is an excellent eye-opener to how we can help our kids learn to look at science in a new and fun way. We’re pretty sure your eyes will be opened as well. Science is everywhere. Even while we’re typing this article, science is actually working. Of course, we cannot see it. We can only appreciate it in terms of the outcomes that we produce. One of the most common applications of science today is in the design and production of electronic devices. Sure, there are plenty of toys and kits that teach kids about how to create their very own electric circuit boards. But what if you’ve suddenly run out of these components? How else can you teach your child? Well, AnnMarie Thomas demonstrates in her Hands-On Science with Squishy Circuits TED Talks for kids episode how ordinary children’s toys and everyday objects in our homes can be used to create a fully functioning electric circuit. This is science at work. It takes scientific principles and applies them in real life. Thomas demonstrates how ordinary play-dough can be used to create squishy circuits that our kids will definitely love. Like this topic? 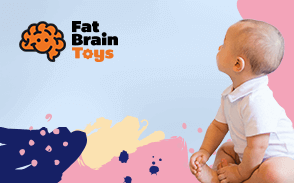 Then check out this article on the top rated science toys for kids. What We Like about It – It’s a fabulous way to appreciate the practical applications of scientific principles. This helps set our kids on their way to greater understanding of science. Everyone loves to fly drones especially quadcopters. What many don’t understand is just how complex the science involved in these devices is. RaffaelloD’Andrea presents in his TED Talks for kids episode about The Astounding Athletic Power of Quadcopters the wonders of GPS and other location services that are embedded in a quadcopter to orient itself in space. D’Andrea talks about algorithms and control theory to provide a backgrounder on how we can operate a particular quadcopter, make it follow us wherever we go, and even go to where we want it to go and come back to us without having to steer it. These are all scientific principles in action. And while we can say that it’s really a technological advancement, the principles behind the technology is embedded in science. When these principles are fully understood by our kids, they can actually control their quadcopters in a more efficient way much like an athlete performing a variety of maneuvers and stunts. D’Andrea demonstrates how drones can play catch, balance a pole, or even make decisions altogether, all because of the complex algorithms that enable these devices or gadgets to do their thing. Like the topic of this talk? Then check out our essential guide to drones for kids. What We Like about It – The Astounding Athletic Power is a great way to understand the principles or the idea behind one of the most commonly sought-after toys or gadgets today, the quadcopter or drone. Hopefully, this will help facilitate a wider understanding of science. One of the most perplexing things that teenagers have to figure out is their own unique identity. And while this can take on different forms, TaviGevinson shares her experiences about her search for identity and whether she could rightfully call herself a feminist amidst the ever-growing misconception about a feminist being someone who’s magically gifted to be strong and incapable of wrongdoing. However, in the presentation A Teen Just Trying to Figure it Out, Gevinson explains how she got this weird feeling that the current definition of a feminist is oddly wrong which led her to try to figure out just exactly what feminism should be. Personally, we tend to agree with what the teen is saying as one doesn’t have to believe what existing norms are. One has to figure out for himself or herself what is really important in life. and we believe that kids, especially teens, should break out from peer pressure and move away from peer-based norms. It’s quite unusual to hear all of these coming from a teenager since many adults cannot seem to figure out what feminism really is and who they really are as a person. What We Like about It – This TED for kids episode provides an excellent look into the journey of a teenager towards self-discovery and towards a greater understanding of one of the oft-misunderstood concepts in modern times: feminism. More importantly, we believe that the manner in which Gevinson showed her firm resolve to really figure it out is admirable and can serve as a great motivation for other teens. It’s not really that simple choosing the TED Talks to include in our list for the sole reason that all the topics and presentations on the medium are really fun, educational, and really entertaining. We know these three are particularly important for kids as they really need to grow their knowledge of even the simplest things in our world but not in a very serious manner. Learning for kids should always be fun. And that’s the issue with TED Talks for children. Everything is made more fun. It puts kiddie entertainment on very complex subjects such as mathematics and oceanography. Even the more sensitive issues that older children and teens today face are approached in a very lighthearted manner. So how do you choose when everything simply is a great material? We focused on topics that we think will prove to be most useful for children. We sampled from amongst ourselves the most common questions asked by our children including the children of people we know. We then categorized these and tried to determine if there’s a suitable TED Talks for kids that specifically addresses these questions. Remarkably enough, we were able to find such topics on TED Talks. We then viewed each of these presentations to come up with a more detailed evaluation of how these shows will fare if you are going to watch them with your kids. Hopefully, you also found these shows to be particularly interesting as well as for your kids to have finally found the answers to some of their baffling questions. Kids who learn more about themselves as well as their natural environments essentially grow up to become more emotionally balanced and socially responsible adults. TED Talks doesn’t only provide adequate fun learning for kids; it also helps children feel good about themselves. While these online media can be particularly helpful, these are not the only ways in which we can help our kids to learn about themselves and their world. Before we embark on a mission of helping our kids learn, it is essential that we help kids explore their world safely. This is a very important prerequisite since children do not really have the necessary faculties and competencies to safely explore. It is up to us to identify areas or places that are considered safe for their exploratory activities. The same is true with reading materials as well as playthings so they will not necessarily endanger themselves while learning. It is then crucial that we expose our kids to as much real things as possible to help them get acquainted with their natural world. It is always best to start with non-threatening and simple objects before moving on to more complex things. For instance, we can start first with a stuffed toy animal to acquaint them with some of the features of a dog before we eventually get them a pet. Going on a holiday or even weekend trips can be particularly stimulating for kids. Investing in good quality learning materials like books, videos, and audio books are also excellent ways. The point is there can be a gazillion ways we can help our kids to learn about themselves and their world. The important thing to remember is their safety and how appropriate the learning content is to their cognitive abilities. TED Talks are masterpieces of presentations that put to light many of the questions that we often find ourselves unable to answer for our kids. With our six best TED talks for kids, you now have a great tool to help your child learn more about himself or herself as well as the wonderful world around him or her.